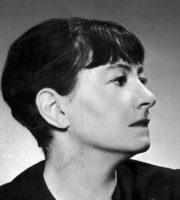 Dorothy Parker was a popular american poet and writer, best known for her wit, wisecracks, and eye for 20th-century urban foibles. She sold her first poem to Vanity Fair magazine in 1914 and some months later was hired as an editorial assistant for another Condé Nast magazine, Vogue. She moved to Vanity Fair as a staff writer after two years at Vogue. Parker published her first volume of poetry, Enough Rope, in 1926. The collection sold 47,000 copies and garnered impressive reviews. The Nation described her verse as "caked with a salty humor, rough with splinters of disillusion, and tarred with a bright black authenticity". Although some critics, notably the New York Times reviewer, dismissed her work as "flapper verse". Dismissive of her own talents, she deplored her reputation as a "wisecracker". Nevertheless, her literary output and reputation for her sharp wit have endured. Here are some of her most notarious and famous poems. The Nation described her verse as "caked with a salty humor, rough with splinters of disillusion, and tarred with a bright black authenticity".